Special thanks go out to Tyler Alexander for submitting this post as a Guest Blogger. Please check out Tyler’s blog at https://tyleralexander1986.wordpress.com. Thanks again Tyler, and God bless you! 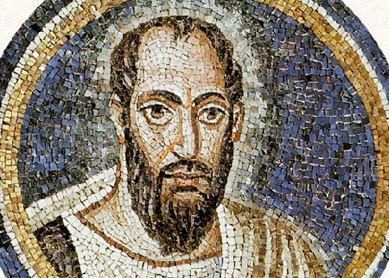 Paul, a servant of Christ called, separated unto the Gospel of God. That verse, that powerful statement, stopped me dead in my tracks early in the reading of Romans. There are a few things I want to touch base with on how Paul is introduced in this greetings to the Roman Church. I was moved on the delivery of Paul’s spiritual resume or background, this description of who he has been made into through Jesus Christ. Though, I think to really be able to appreciate the dynamics of this formal introduction of who Paul is, you really have to fully grasp who and what he was before his conversion to Christ. If there’s any pedigree, if there’s anyone who had anything to benefit or offer the world in a self righteous way of saying so, it was Paul. Paul says in Philippians chapter 3 “Though I might also have confidence in the flesh. If any other man thinketh that he hath whereof he might trust in the flesh, I more:” Paul says “If anyone thinks he has reason for confidence in flesh, I have more”. That’s a bold statement, some would even say condescending. I believe it to be true. Given the settings and timeline Paul was the prototype. That is, if you’re looking from a carnal perspective at least. He goes on to say that he was circumcised, born of Israel, from the tribe of Benjamin, and a ” Hebrew of Hebrews”. Such an emphasis on the ending as in a modern way of saying a man’s man, an alpha male of the Israelites if you will. Those traits almost just build up as a checklist marking the blocks of why Paul was more than “good enough”. He follows with as to being found righteous in the law and early commandments he was “blameless”. As to zeal, a ” persecutor of the church”. This guy was like the Gladiator of the Pharisees. I enjoy how he looks back on it a few verses after this building himself so highly and considers it all as dung. Now, I haven’t done a big biblical background search on this whole meaning of dung but I’m fairly certain in where Paul is leading the reader here. Looking back into the greeting again I want to magnify what message has been put on me to share on his spiritual identity in Christ. Paul has been separated from the tribe of Benjamin, separated from the safe zone of legalisms in circumcisions, separated from the idea of being born in Israel and of the Hebrews. Paul had been clamped unto the Gospel of God. He was attached and clinging to Christ. Assigned as a bondservant of Jesus. The more we become separated into the ambitions that are outside of the will of God, the more focused we are on the world, and the more we become stapled onto it. Once he had been separated from God in being of a tribe, a culture, a religion. Being one of the world and all it had to offer. Here he is set apart and called, a servant, separated to the gospel of God. I believe after the meeting with Jesus on Damascus road Paul ran from the idea of fulfilling the law because at one point he literally had beaten it into so many people. Paul’s new life becomes specific in which he was called to in this gospel of God in verse 3. “Concerning his son, Jesus Christ, our Lord”. If we are to turn an eye to our own resume, how we would be introduced before a holy God, what would it say? Would it be highly decorated with the things of this world, fulfilling the criteria of the modern society requirements? Would it be ironically familiar with the chapters of Ecclesiastes filled with vanity? Have we been separated, according to our calling, concerning His son, our Lord and Savior Jesus Christ?